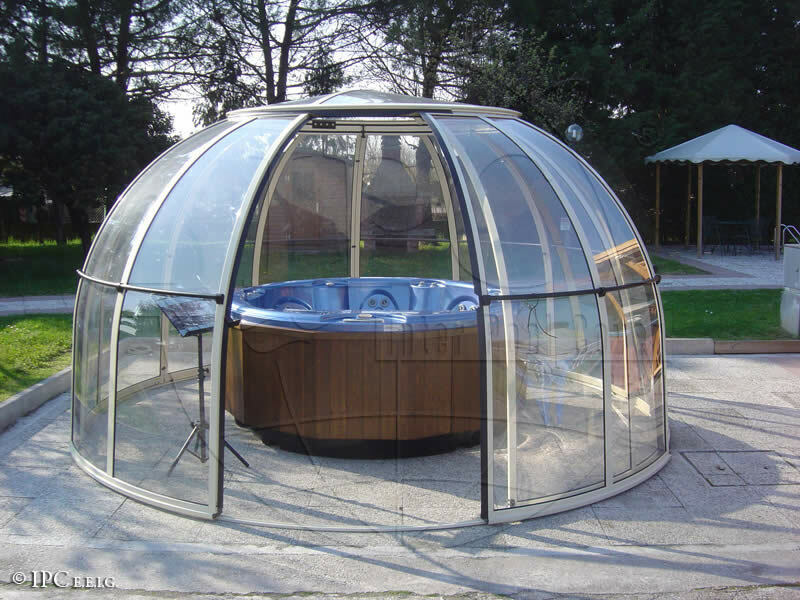 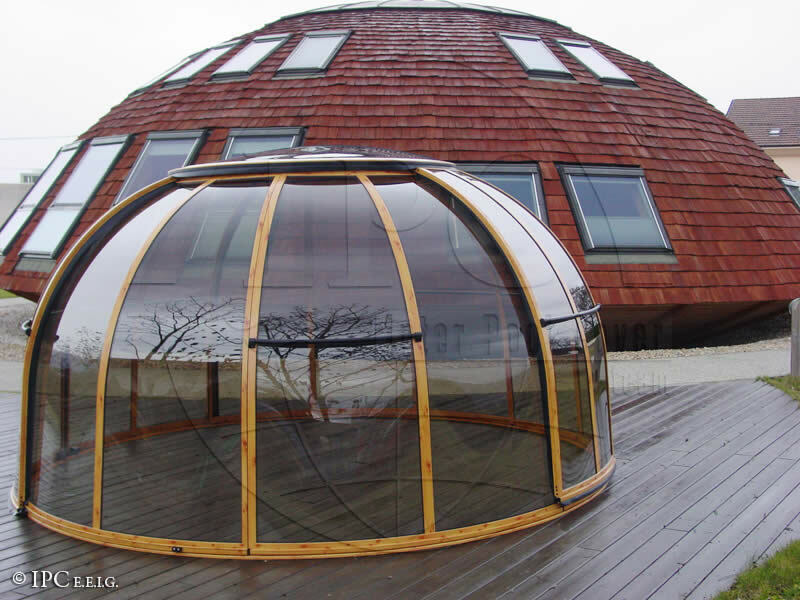 The original structure of the SPA DOME ORLANDO® consists of aluminium profiles which surface is finished with fired colour. 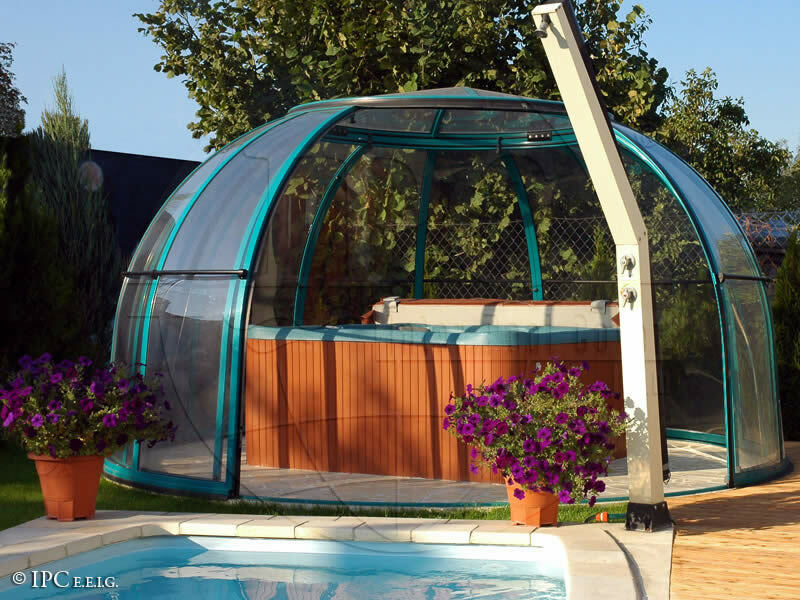 Its panels are made of transparent compact polycarbonate (standard version) or relief transparent, bronze polycarbonate (alternative version) which affords a great deal of privacy to the enclosure. 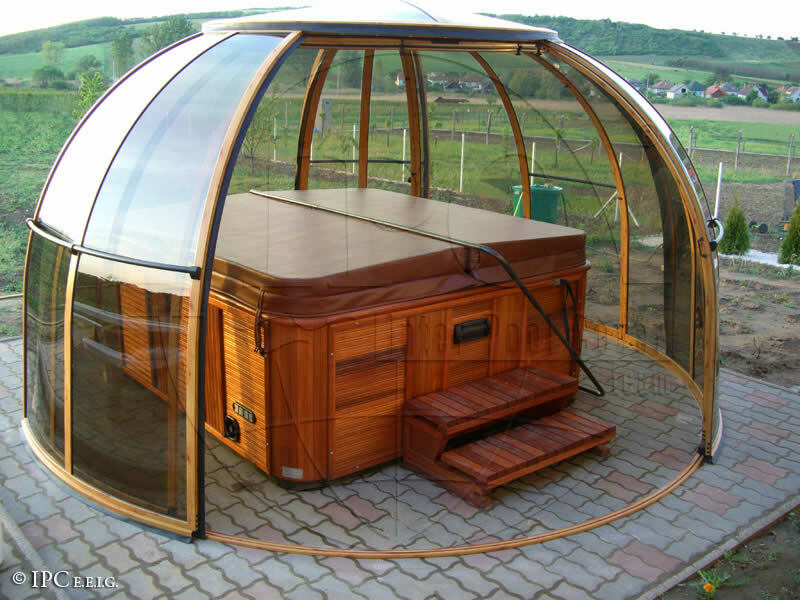 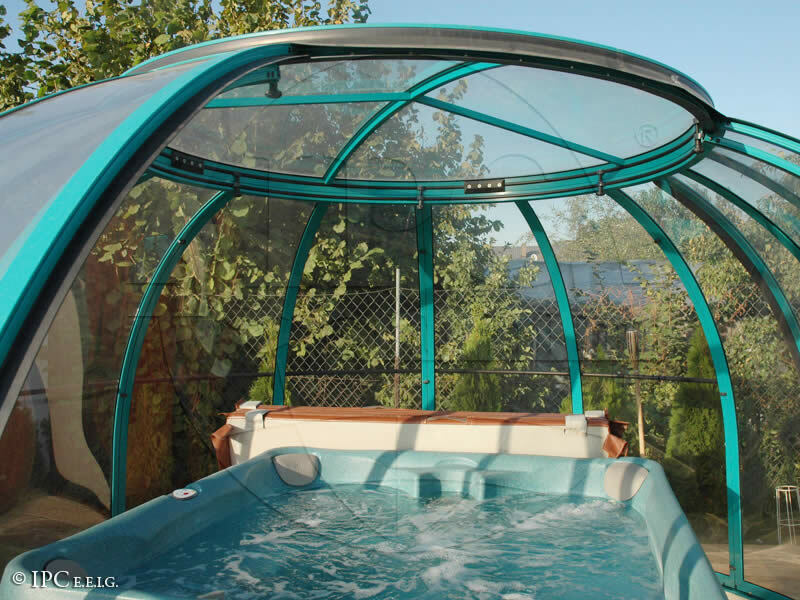 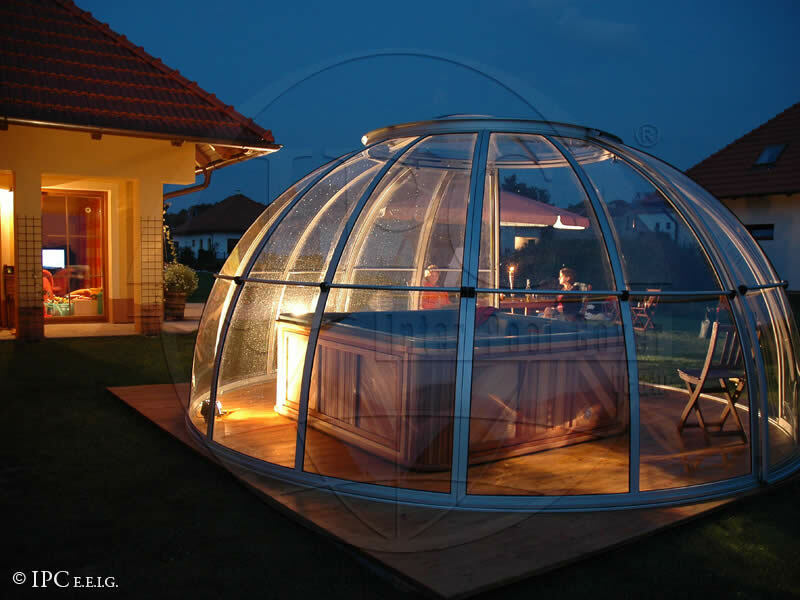 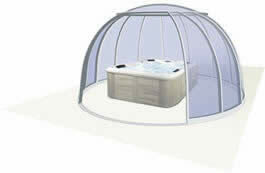 SPA DOME ORLANDO® is seated on a circular rail. 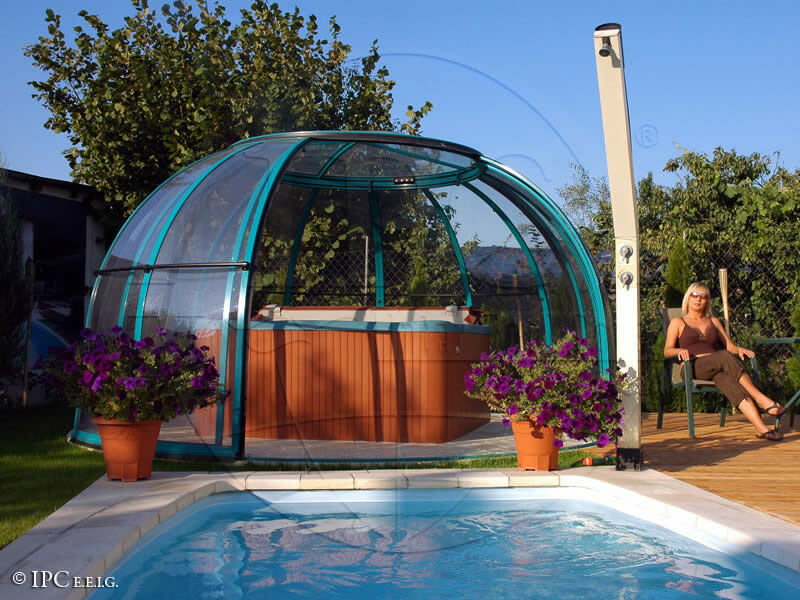 The SPA DOME ORLANDO® has an easily assembled base, anchored on a firm foundation material such as concrete or ceramic block paving.